Peeples & Kohler, P.C. has built a strong reputation by combining high quality, innovative and practical work product with personal attention. It is our privilege to provide sophisticated legal services in a setting that is comfortable and efficient for our clients and ourselves. We are committed to excellence, to serving our clients' retirement planning needs in a cost-effective manner, while holding to the highest professional standards. At Peeples & Kohler, P.C., we strive to use our experience and abilities by concentrating our efforts in a very focused area of practice. Our practice involves the design, implementation and maintenance of qualified defined benefit pension and 401(k) profit sharing plans. Maintaining this narrow focus allows us to provide sophisticated, knowledgeable representation. 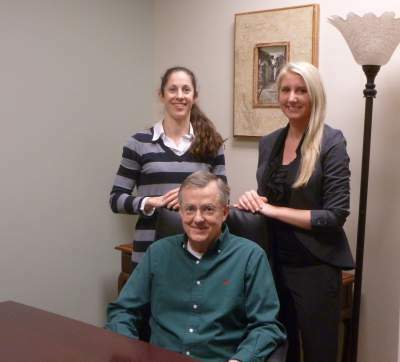 Our lawyers have wide experience in virtually all legal aspects of qualified retirement plans. In our practice area, we primarily serve small professional businesses and business owners. Many of our clients have ownership in multiple business interests, and with our sophisticated understanding of the legal rules relating to complex business structures and their impact on retirement planning, Peeples & Kohler, P.C. is positioned to protect and promote our clients' retirement interests even as their business interests grow and evolve. With over 50 years of combined experience in the area of qualified retirement plans, Peeples & Kohler, P.C. offers the required expertise, valuable perspective and proven track record of superior service and success to our clients. It is this experience and dedication to providing high levels of performance, reliability, efficiency and prompt responsiveness to our client's needs that allows us to represent over 850 clients across almost all 50 states.